Studying at City has opened many doors, as prospective employers know the knowledge, skills & talent of graduating students is of a high standard. I am a Staff Writer at the PPA, which stands for the Professional Publishers Association. Our members include Condé Nast Britain, Hearst UK, Time Inc. UK and Immediate Media Co., to name just a few. I am responsible for delivering magazine industry news to our members, whether this is writing stories for the website, sending out newsletters, or live tweeting during the prestigious events that the PPA holds. Essentially, I am a journalist for journalists/publishers! I work with a lovely bunch of people. Barry McIlheney, the former Editor of Smash Hits and Empire, is CEO of the PPA and is a fellow City alum. Being surrounded by people who are just as excited about magazines as I am is a real pleasure. Not only that, but I get to interact with all of the people who work in magazines and make them so great. 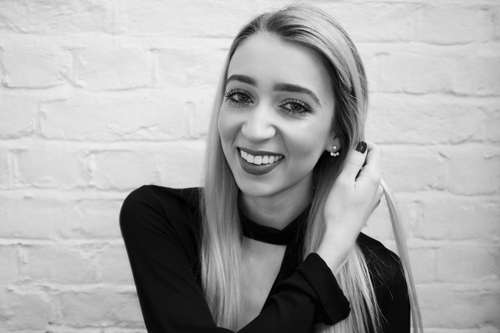 I have interned with and been published in print and online for magazines including Stylist, Harper's Bazaar, Cosmopolitan, GQ, Red and the Radio Times. I have completed freelance work for Stylist, the London Evening Standard and Museums Journal. While I was studying at City, some people working at the PPA came in to ask if we would like to help out with the PPA Festival, which brings together people in the industry for a day of inspiring talks. I volunteered and interviewed Matt Kelly, the Editor of pro-Remain newspaper The New European for the PPA Festival Magazine. I also attended the Festival and live tweeted on the day. When the opportunity for this role came up at the PPA, I leapt at the chance! In a strange twist of fate, Barry was actually one of the very first people I spoke to during induction week at City when he was a speaker during a panel discussion. Now he’s my boss and we’ve come full circle! My undergraduate degree was in psychology and philosophy (which comes in handy in journalism). I have always loved to write and have always been involved in various journalistic pursuits, but I never officially studied journalism. City is known for its exceptional journalism programmes – both undergraduate and postgraduate – and it was a no-brainer for me in terms of where I wanted to study for my postgraduate degree. Studying at City opens a lot of doors, because employers know that the knowledge, skills and talent that students are graduating with is of a very high standard. Just by having City on my CV has proven to be a huge advantage. I have also learnt that so many people I’ve worked with at various publications are City alum as well – it’s a really close-knit network and one that I’ll have for life. The biggest highlight for me was having my final project published by British GQ online (read it here), which is the publication I had in mind while writing it. For GQ to publish it was then the ultimate validation. For me, absolutely nothing beats the feeling of seeing my byline – whether it’s a print or an online one. Everything that we did on the course was practical. I was able to clearly visualise how everything could be used in the working world. For example, we had a session where we had to practice our telephone manner in front of the whole course. Was it humiliating? Yes. Was it awkward? Yes. But was it useful? Yes. From pitching, to journalistic ethics, to how to take a good photograph – City covered all of the bases. In the ever-evolving digital world we live in, it is no longer good enough to just be able to write. You also need to know SEO, how to promote your work on social media and how to create videos to promote your content and that’s what the course taught me – how to be a multimedia journalist. The hardest part of my course was definitely patch, where we were given an area in London to visit every week. We had to find a news story and then write it up for the following day. That meant talking to Real! Live! People! without relying on our phones or technology to do the work for us. It was a daunting task, but I now have the ability to talk to anyone anywhere. As time went on and I trawled Spitalfields & Banglatown, I grew pretty fond of my patch. I helped a friend get the broken gate in front of her flat fixed – a problem that was caused by rats chewing the wires underneath the ground! I interviewed the creator of an immersive theatre show set during the time that Jack the Ripper was alive and I was given a tour of a synagogue for the first time. Once you develop that news sense, it never leaves you and I haven’t been able to stop looking out for stories since! Recently there was a fire just a few flats away from where I live and the story was covered by major news outlets. I couldn’t help but think if that had been my patch, I would have been the first person to break the story! The teaching was unparalleled. I would compare it to something out of the film Inception, where you’re not quite sure how some of the information sinks in or how it does, but boy, does it. I have honed my writing style so much since completing the course at City. I think back to Barbara (Rowlands, course director of the MA Magazine Journalism course) and Jason’s (Bennetto, senior lecturer) lessons on a daily basis. They never sugar-coated anything and just kept it real – their guidance and constructive criticism was invaluable to help me become the writer I am today. I was pushed out of my comfort zone in the best possible way through experimenting with different kinds of feature writing. This took me to some interesting places – namely, snorkelling with sharks at the London Aquarium, interviewing a policeman who was one of the first on the scene for the IRA Manchester truck bomb in 1996 and learning about a day in the life of an art conservator-restorer. If you could give one piece of advice to a prospective City MA Magazine Journalism student, what would it be? Never compare what you’re doing to what other people are doing. Journalism is a competitive industry, which naturally breeds some competition among people on the course when it comes to work experience or jobs. Everyone has their own specific talents and interests, so focus on what it is that makes you different and what makes you stand out rather than worrying about not being this or not being that. To receive a place on one of the journalism MA courses at City is a huge achievement in itself, so remember that you alone are enough and that you deserve to be there just as much as anybody else. Also, just work really, really hard and you will be rewarded – and remembered for it.